Students will play Algebra vs. The Cockroaches to increase their proficiency in writing linear equations. 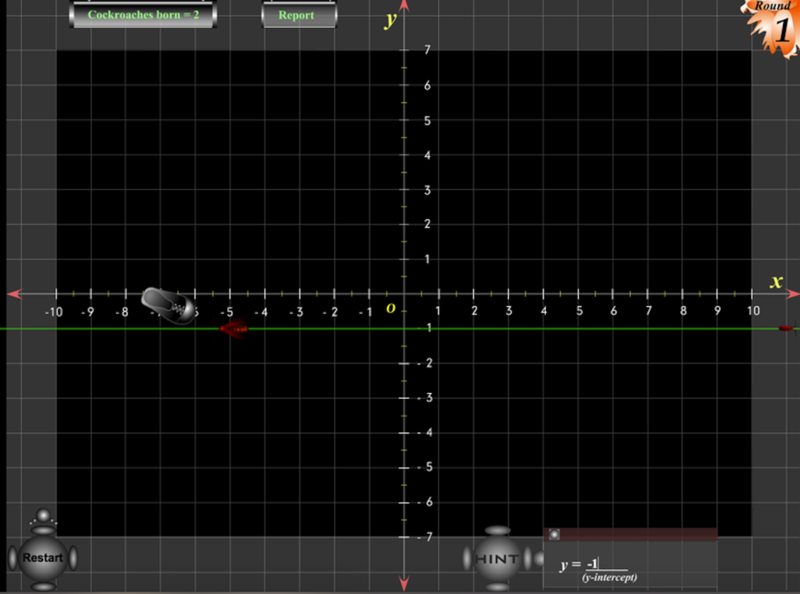 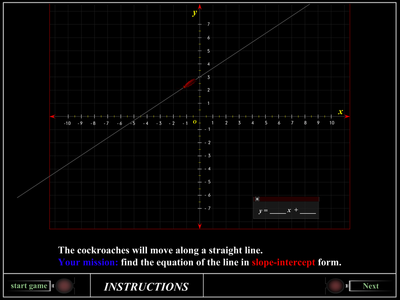 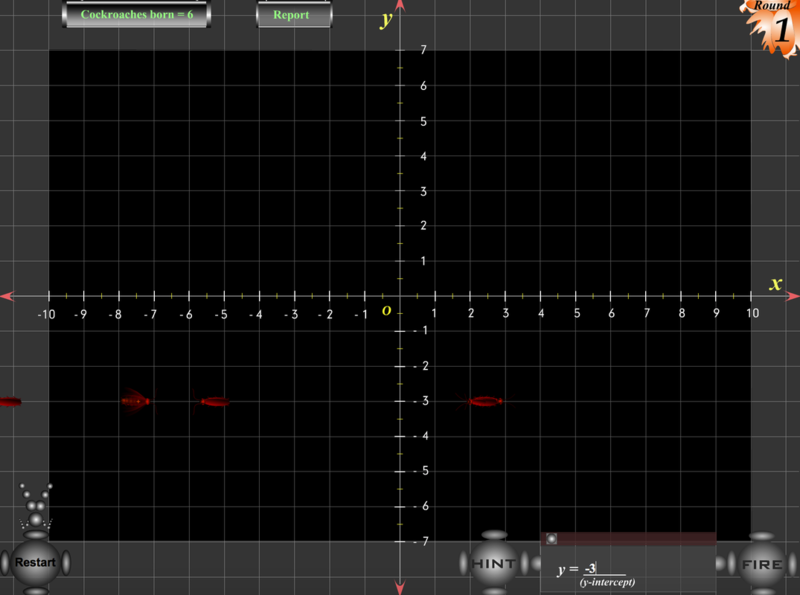 In this game, cockroaches run along a line, for which students must figure out the equation. 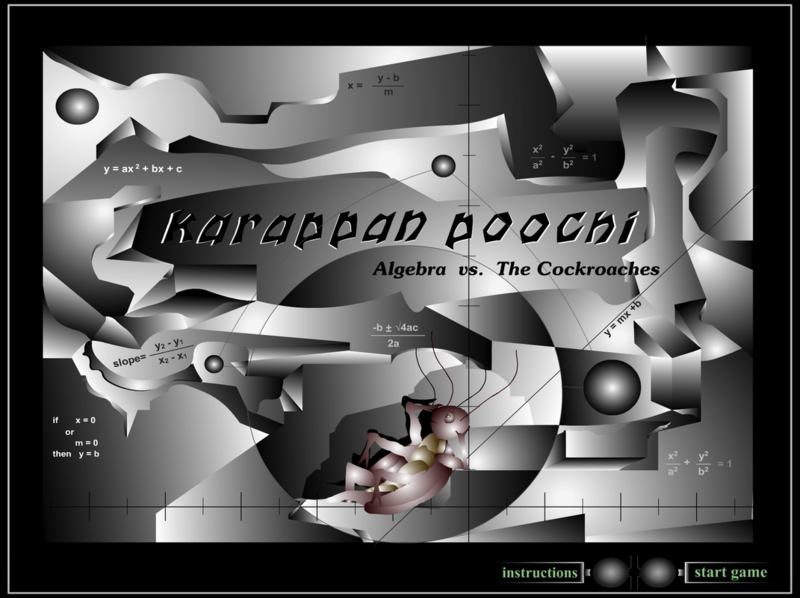 Once they do, they use whichever weapon they chose at the beginning of the game to kill the roaches. 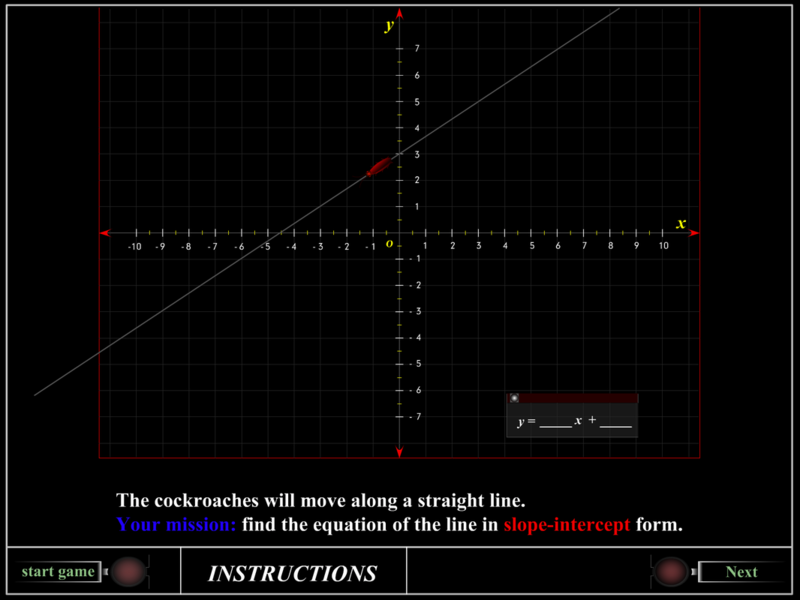 If the student is unable to write the correct linear equation before six roaches show up on the graph, they lose the game. 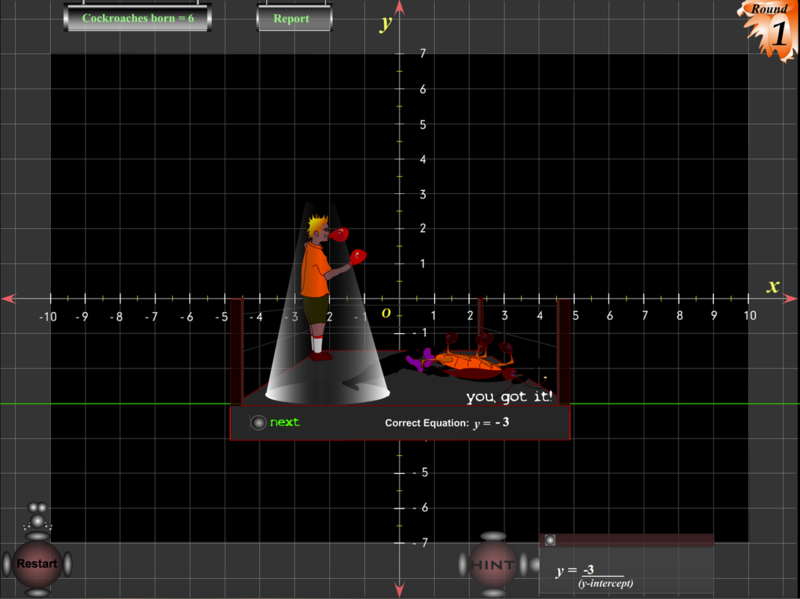 Levels increase in difficulty.